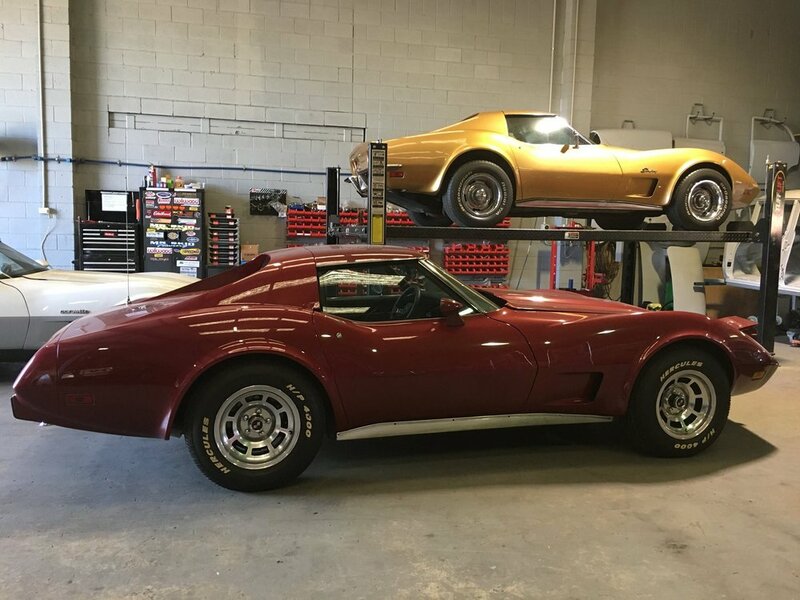 The Ol' School Garage fab shop currently looks like a C3 Corvette dealership! As I've mentioned before, I'm going to downsize my collection. I don't need 30 cars! 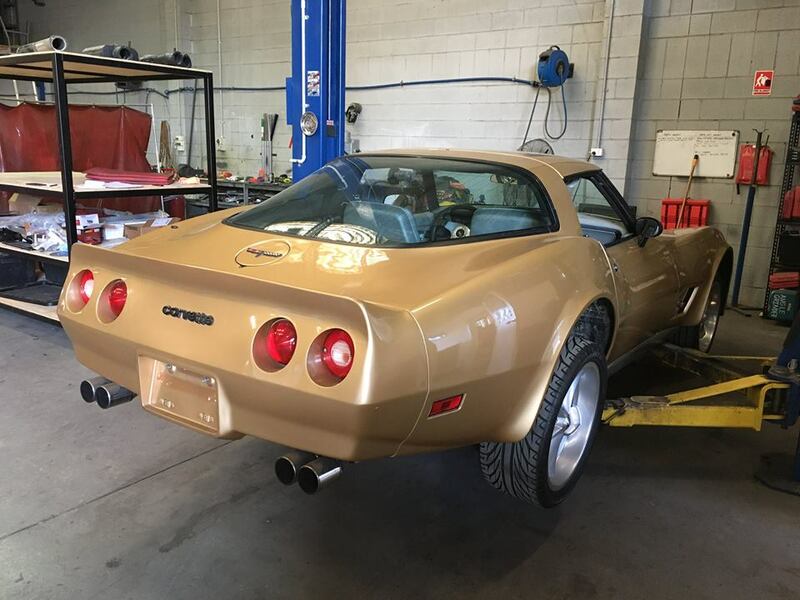 So my four Corvettes are being detailed ready for sale. Probably a few weeks away yet, but I will let you know when they go on sale just in case you are interested...or know someone who may be. 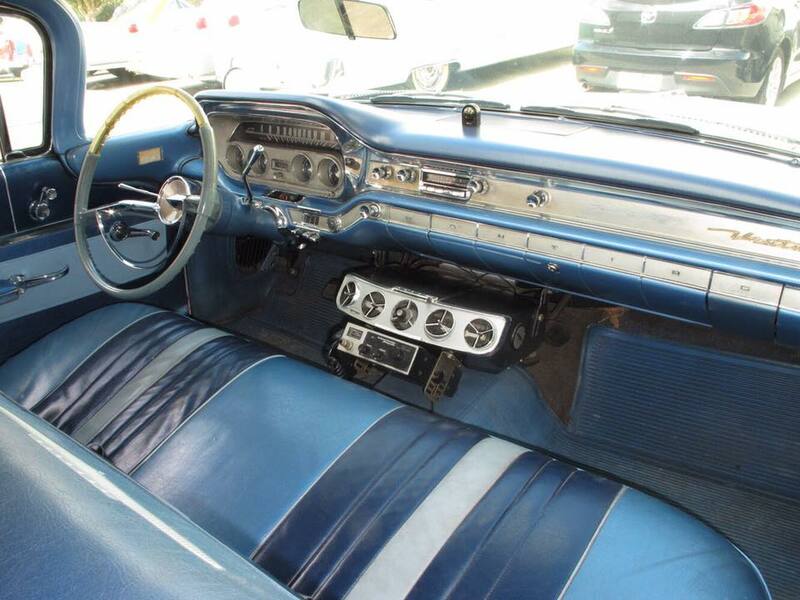 I almost forgot I had this '60 Pontiac Venturer 'Flat Top' until Tim drove it down to the workshop a few days ago. 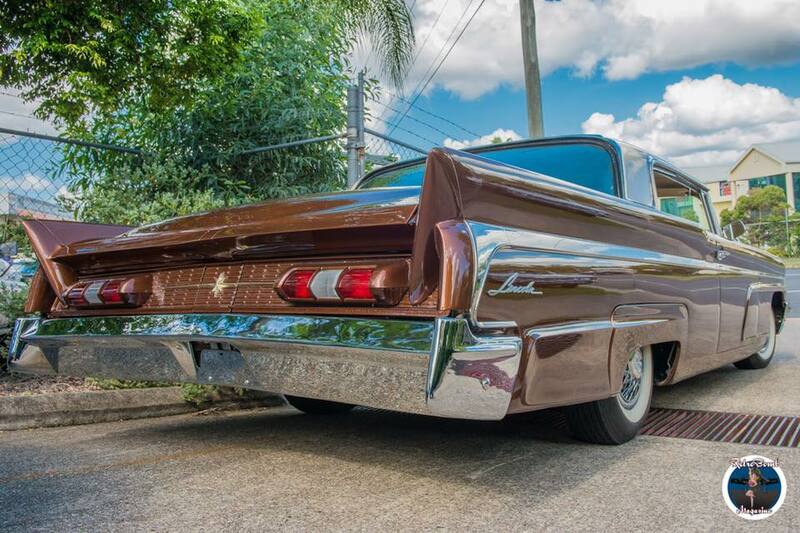 I purchased the car in LA a few years back after being attracted to its retro flat top styling and patina finish. 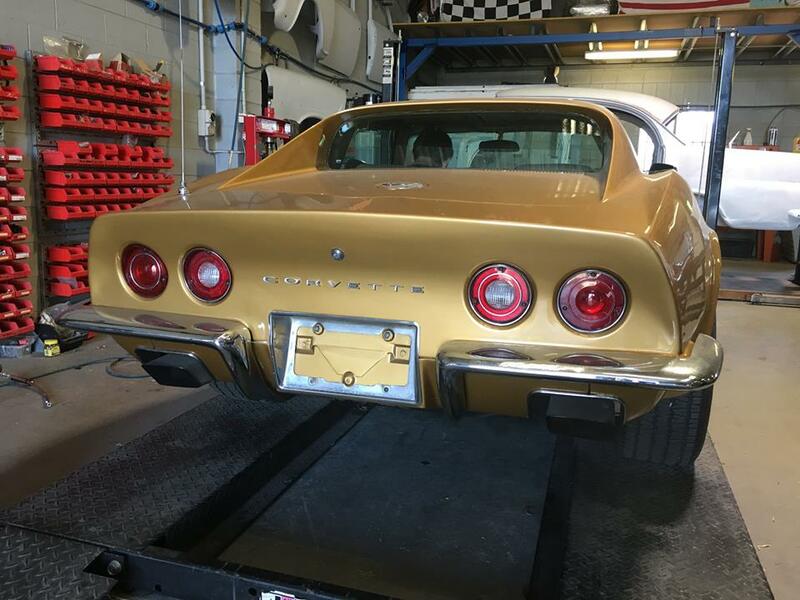 It's time to get it back on the road. 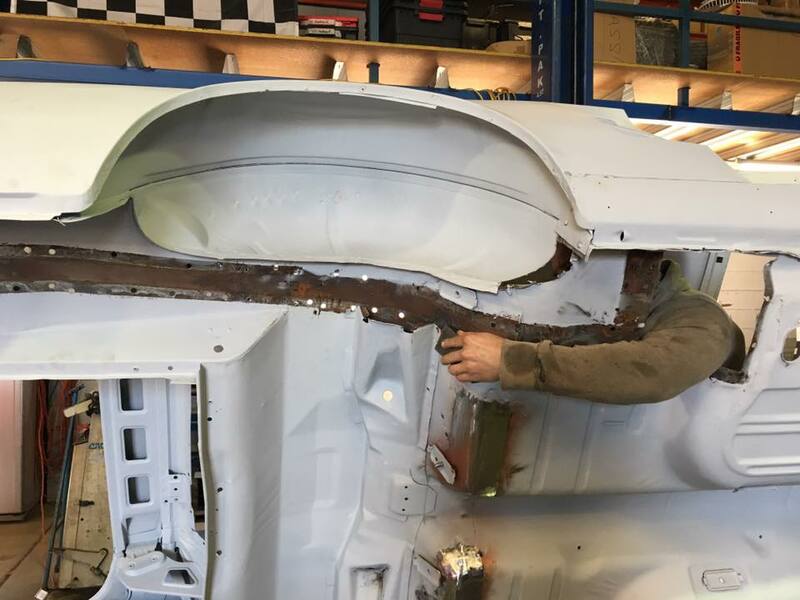 While carrying out the rust repairs on our new '67 Mustang project, Roland discovered that one of the rear chassis rails had been buckled in a prang. Some of the sheet metal around the rail had been repaired, but not the rail itself. 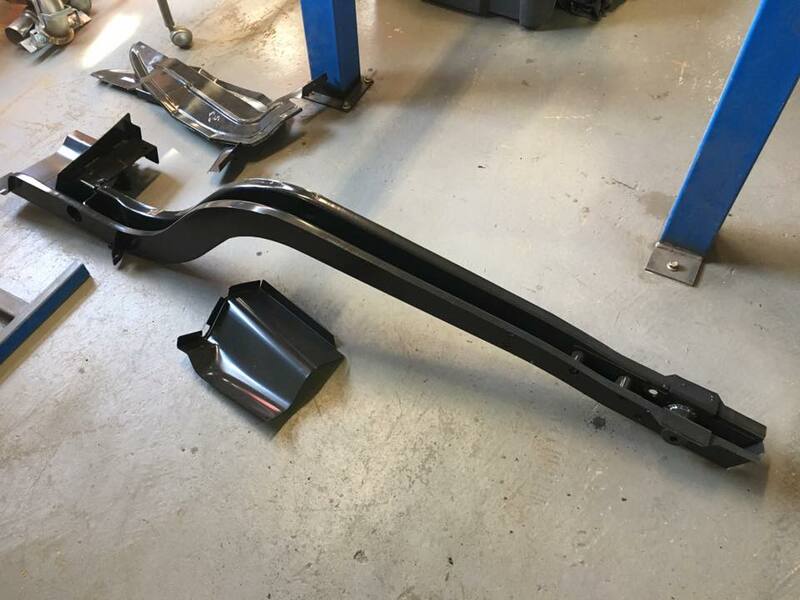 So not wanting to deliver our customer a car that drives like a crab, Roland replaced the damaged rail with a new one. As you can imagine, it was quite a big job to unpick all the factory spot welds to remove the old rail and then weld the new rail in place. Probably why the last owner didn't do it! 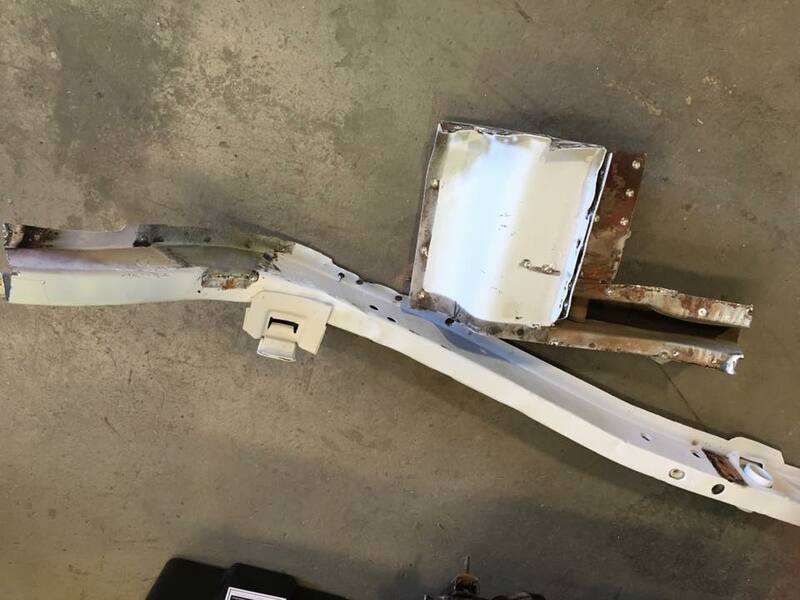 The new chassis rail in place. Roland straightens the floor after the damage rail was removed. The new reproduction rail. Of course it didn't quite fit and Roland had to modify it a bit. It's my day off today. Just sitting drinking coffee and flicking through some photos taken by our old friend Mark at Mark Greenmantle Photography. 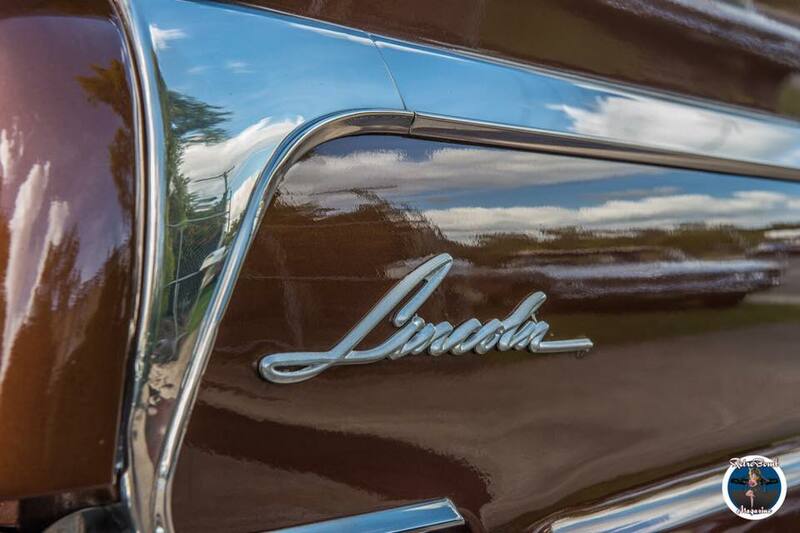 Looking at these photos of my 1960 Lincoln Premiere and wondering why I didn't bring it home for the weekend? Perfect cruising weather here in sunny Brisbane today. Anyway, a big cheerio to all you poor people working today! 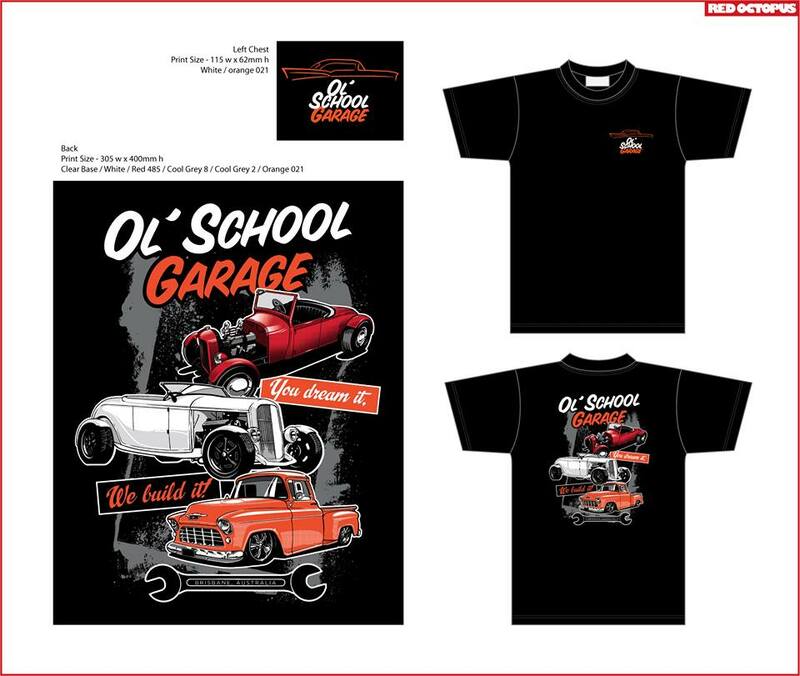 Our new range of T-shirts, polo shirts and limited edition prints was launched at the recent Qld Hot Rod Show and Coolys Rocks On Festival. I'm happy to announce that these products are now available for purchase in our new online shop. All products feature original designs created by Australian artists exclusively for Ol' School Garage. Each design feature one of my favourite cars built here at Ol' School Garage. We plan to add new designs and products over coming months. 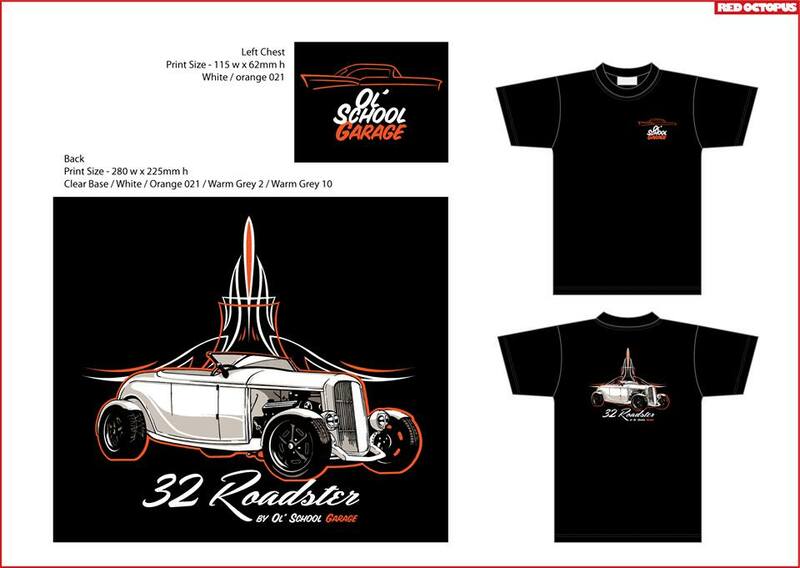 At only $25, these high-quality T-shirts and prints represent great value when compared to other original automotive art. You can access the online shop by simply pressing the 'Shop Now' button above or through our website. Would you buy a shirt from this man? Yes, they would...I've witnessed it! Serge and I are spending today through Sunday at the Cooly Rocks On Festival. If your down this way, drop in and say g'day. tags Cooly Rocks On 2017, Coolangatta car show, Ol' School Garage Clothing Co. 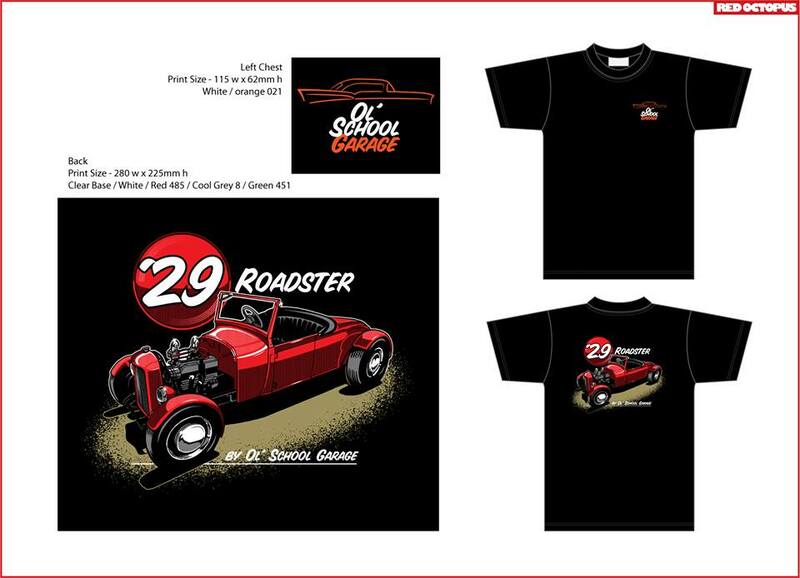 I would like to introduce our new line of classic car t-shirts. Yes, Ol' School Garage has joined the throng! But I promise you will not find any of those generic car designs printed on a cheap shirt. Our quality shirts will feature original designs by Australian artists. 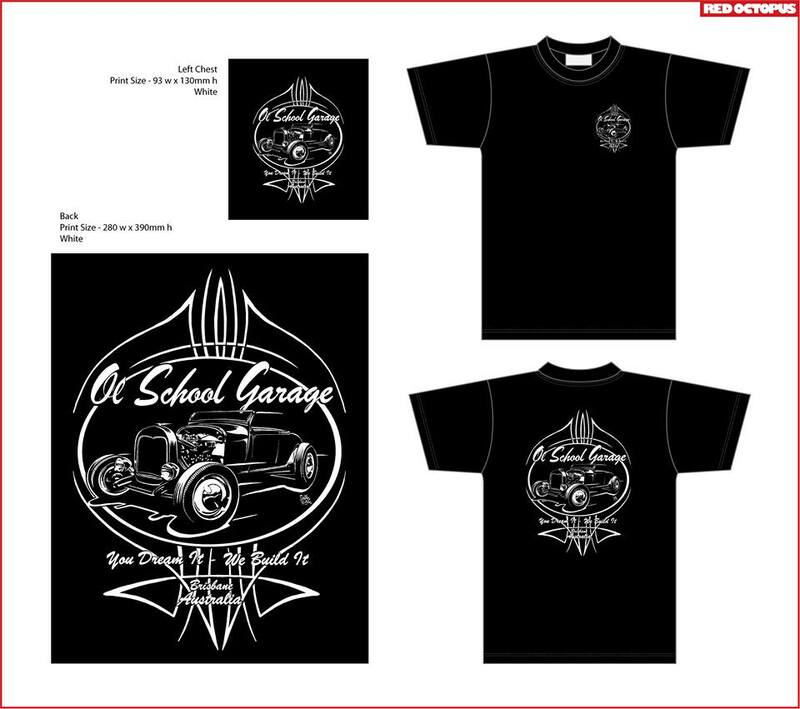 And, the subject of all designs will be cars built by Ol' School Garage. 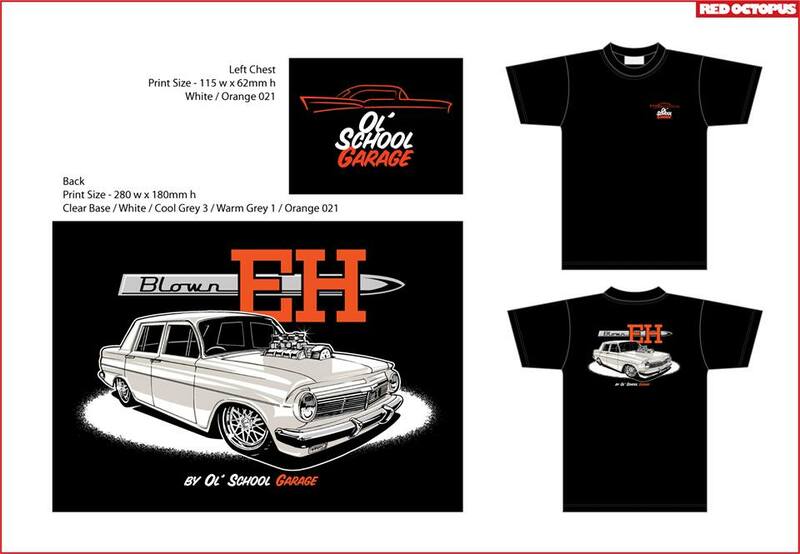 Our new designs will be launched at the upcoming Qld Hot Rod Show and Coolys Rocks On Festival (an online store is also under development). I have included photos of our initial designs. Hope you like them. 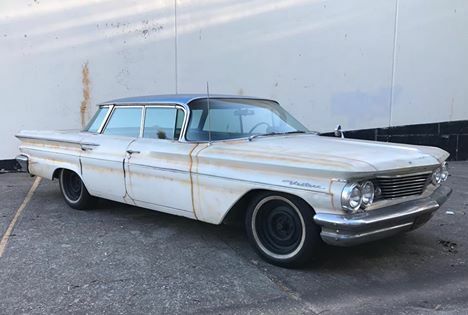 Apparently a month is a long time in the classic car auctions game. 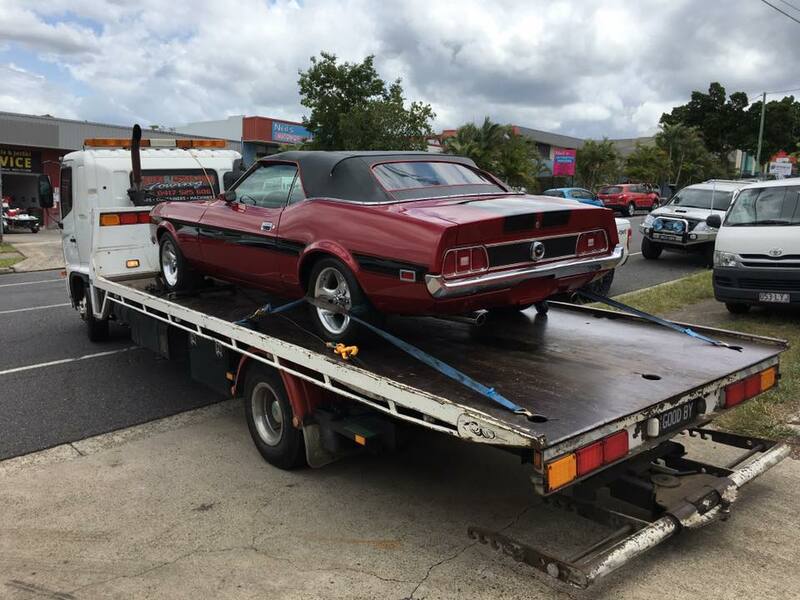 Last month I was flabbergasted by the high prices and high clearance rates achieved at the Lloyds Classic Car Auction on the Gold Coast. Today, the bidders on the auction room floor went missing and well over half the cars failed to sell on the block. My two cars included. There was nothing wrong with the lineup and Lloyds continue to draw greater numbers of cars each month. 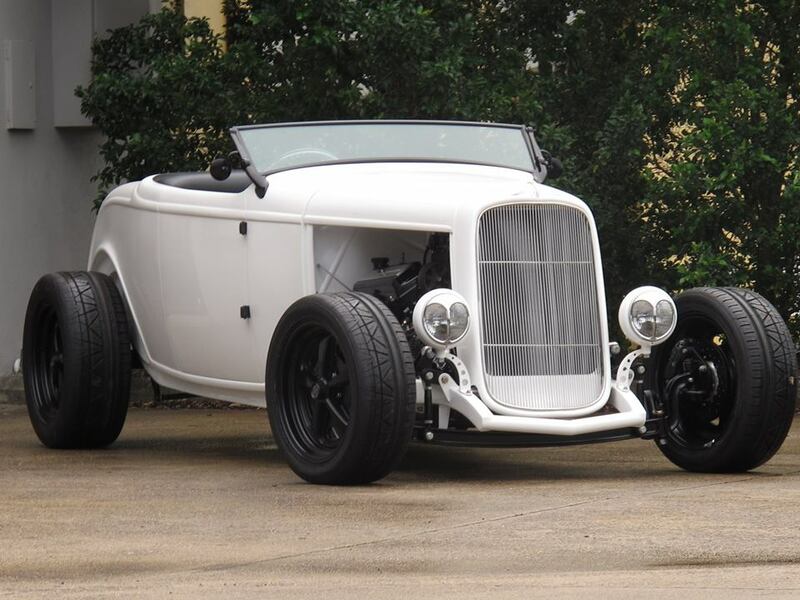 I really like the Lloyds Auction formula, not to mention the convenience of having our own local classic car auction. So I'll be back next month. 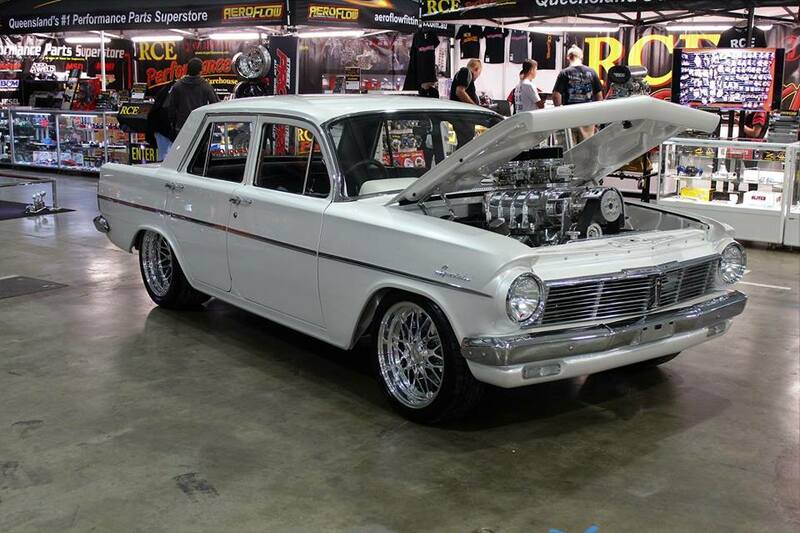 This HQ, loaded with lots of Statesman options, was passed in at $24,500. I don't blame the owner for not letting it go. 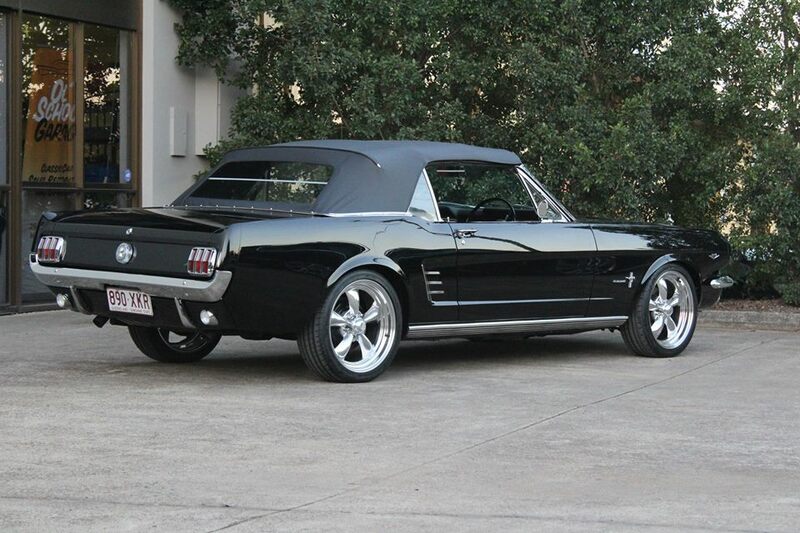 It was a magnificent car and deserved more money. Having my own shop and a rust repair specialist like Roland, rust doesn't usually scare me. But I couldn't believe the owner of this super rusty LX Torana SS project didn't take the money and run. It was passed in at $17,000. This Blue Meanie dis sell at $121,000. It was a really nice example. This fantastic XU-1 was also passed in at $110,000. 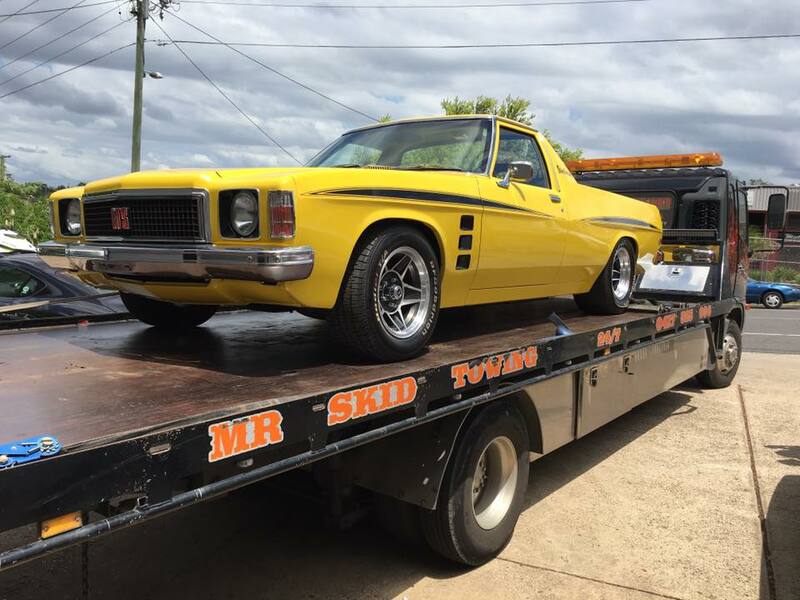 As you know, I'm sending my HJ 'Sandman' ute to Lloyds Classic Car Auctions. 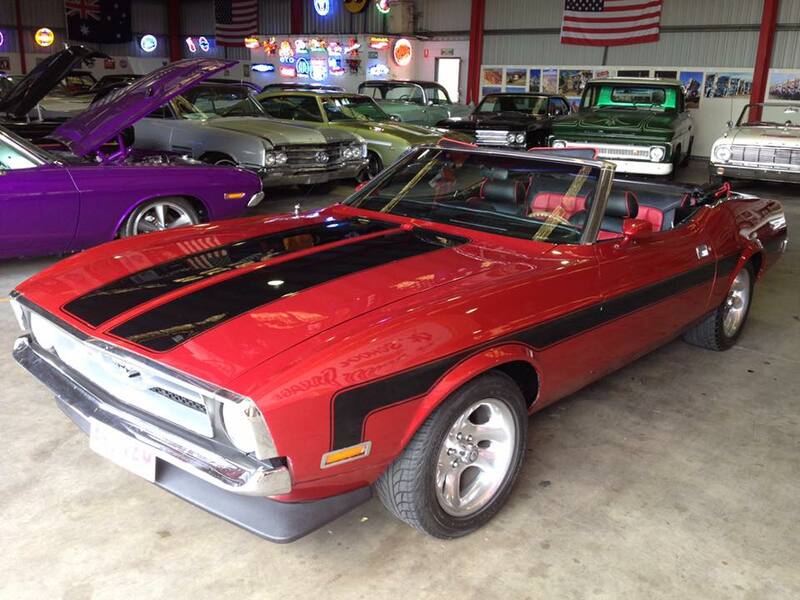 I have also decided to send my '71 Mustang Convertible. It's a really nice cruiser, but it's been sitting in my shed collecting dust for too long. Both cars were shipped off to Lloyds at Carrara this afternoon. The cars will be available for inspection this weekend and the auction will take place on Sat 25 Feb. Hopefully Lloyds can find them a good home.